You may be storytelling about your brand, but are you a courageous marketer? Do you have what it takes to cut through the clutter? Courage is something that we need to embrace today, especially if you are a marketer. How do we make a brand stand out? How do we get recognized? CMOs have to have both sides of their brain working. My guest today is Drew Neisser the founder and CEO of Renegade, a marketing company that helps courageous CMOs cut through the clutter. Drew is a strategist and writer who has helped dozens of CMOs unleashed their inner renegade. He has told the stories of over 300 marketers via his AdAge column, his book The CMO’s Periodic Table: A Renegade’s Guide to Marketing, and his podcast called Renegade Thinkers Unite. [04:09] Drew’s first taste of marketing was when he was in college. He created flyers and passed them out at Duke University when he was running a film event. [04:36] To his surprise, his tactic worked and people came to the theater. [05:39] Working at an agency Drew learned everything you shouldn’t do when marketing. [06:19] He worked at different agencies until he finally had the opportunity to get involved with Renegade, which he eventually bought out. [08:04] Calling your agency renegade sets the bar pretty high. They present clients with ideas and programs that they may not necessarily be expecting. [09:59] Drew’s books orchestrates and organizes all of the elements that CMO’s use. He used his existing interviews and added a few more, and ended up with a book. [11:32] The CMO roll is the most bespoke role. CMO’s are in charge of so many different things from marketing to sales to product development. [12:18] A great CMO can pick what they need in the moment and apply that with some general principles in mind. [13:06] A great CMO has the courage to be unique, and the courage to make sure that the brand is unique. [14:35] CATS courage, artful, thoughtful, and scientific. These are the things that make a great CMO. Plus, having the ability demonstrate that they can solve the problem the client didn’t even know they had. [14:58] CMO’s have to artfully build a team. The great ones are also great storytellers. [15:56] Being thoughtful and thinking about how to be of service to your customers. [16:45] Science is always creating hypothesis and testing. [19:00] Because of all of the technology, CMO’s frequently have to go back for more for more continuing education. [24:09] The difference between male CMOs and female CMOs. 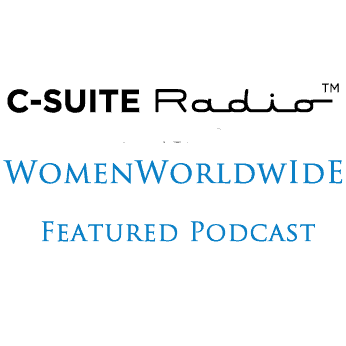 Sometimes female CMOs are reluctant to put the spotlight on themselves. They talk more about building and nurturing teams and seem to be more self aware. [28:29] Get the operational experience that you need and then when you get on a board, keep in mind that it is an advisory role. [28:56] Leaders who give credit to their teams excel. [29:43] As a CEO, Drew tries to do only the things that only he can do. He also understands how to delegate. He focuses his interviews on people who will be of interest to his clients. [31:47] His episodes are also a springboard for additional content like his AdAge columns. [32:22] Business books are about delivering hope. Books that give a simple path seem to be more successful. [33:50] One of Drew’s heroes is Benjamin Franklin. He was America’s first chief marketing officer. “Well done is better than well said.” This Benjamin Franklin quote has been a mantra for Drew. [35:26] Drew personally loves social media. In 2008, when they pivoted to social media, it saved their company. [39:16] Drew is a marketing omnivore. He just loves learning. He knows that working on one business and just one channel would bore the heck out of him. [40:14] He also needs deadlines and pressure to do his best work. [42:06] To become a better leader Drew recommends reading Team of Rivals: The Political Genius of Abraham Lincoln to learn how to bring out the best in a team.